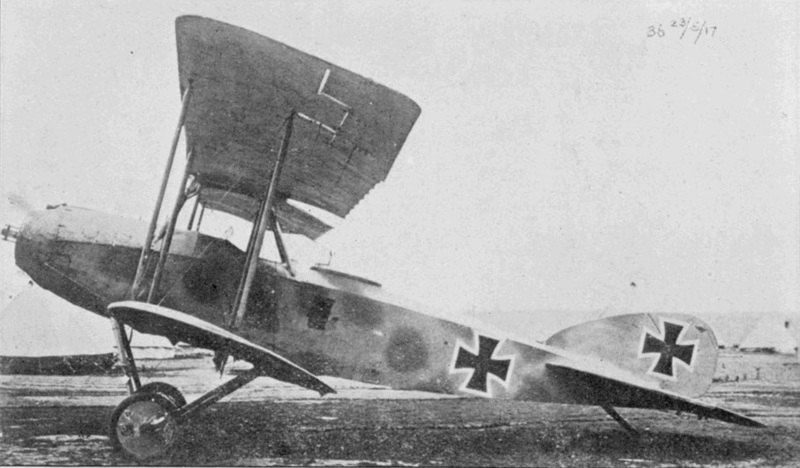 This view of the Albatros C.V from the left shows us the overall shape of the fuselage and the solid undercarriage. The propeller cone appears to have been removed, showing the fittings for the blades. The fixed forward firing machine gun might just be visible above the engine cowling.